A lot of people might look at Another Year's cast list and subject matter and simply assume that it's Mike Leigh working in familiar territory, but I hope they don't overlook the brilliance that is frequently on display here. This study of families, ageing and loneliness strikes me as one of the director's most ambitious works, a film that explores weighty themes and finds a resonant balance between humour and pain. 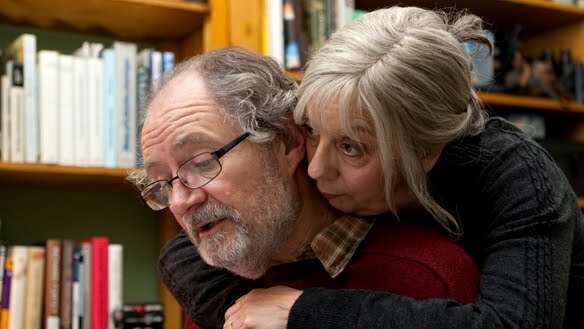 Much of that humour is exhibited by Tom (Jim Broadbent) and Gerri (Ruth Sheen), a long-married couple who appear to be perfectly content with life, and their son Joe (Oliver Maltman), who is single but in no particular hurry to change that status. Ruth's friend Mary (Lesley Manville) is a different story, however. Alone and fearing that her only chance of happiness has passed her by, Mary frequently drowns her sorrows in drink, and she has latched onto Tom and Gerri as her only real friends while harbouring a crush on Joe. The joy of this film primarily lies in the performances, with Leigh's working methods once again creating a sense that these actors are really inhabiting their roles. At first, I thought Lesley Manville may be coming on a tad strong as Mary – too nervous and twitchy – but she has some beautiful moments later on, finding incredible pathos in Mary's misguided actions. Dividing his film into four parts, marked by the passing of the seasons, Leigh imposes a steady pace on the drama and allows his scenes to breathe. Other characters enter the narrative at various points, including Peter Wight as a kind of male equivalent to Mary and Imelda Staunton as an extremely unhappy woman whom Gerri is counselling, but Leigh lets them come and go, giving us the sense that their lives are carrying on outside the frame. So many scenes in the film are note-perfect, with one of the finest involving Gerri, who has long been indulgent of Mary's behaviour, finally drawing a line when she begins to upset the happy equilibrium of her family. After the screening last week, my initial thought was that the film ran a little too long in its final 'Winter' section, but the painful silences and the sense of loss so powerfully portrayed in those scenes have lingered with me since then. This is one of Leigh's best films, and the final shot is surely one of the most heartbreaking he has ever filmed. Southern District director Juan Carlos Valdivia has one gimmick that he recycles endlessly, eventually rendering it ineffective through overuse. As he dissects the decline of a bourgeois Bolivian family, Valdivia's camera circles slowly around the characters, moving constantly through every scene. Initially, the effect recalls Max Ophuls, and I suspected that the director was trying to show how self-absorbed his subjects are in their own world, unaware of the shifting dynamic that is occurring outside the walls of their home. But after a while, I wanted more from Southern District than graceful cinematography, and the flat, staid drama that Valdivia served up failed to suffice. There are some good performances on show and some intriguingly surreal touches, but I never believed that the director was offering any great insight into the social conflict that his film was observing, and it eventually felt like a tedious technical exercise, with little to offer beyond the undeniably stylish camerawork. Oddly, this is the second festival film that I've seen which deals with the adverse psychological effects of pregnancy, but Hunting & Sons is in a different league to Blessed Events. Sander Burger opens his film on happy couple Tako (Dragan Bakema) and Sandra (Maria Kraakman), whose happiness doesn't last long when Sandra unexpectedly discovers she is pregnant. Although the pair don't outwardly display any misgivings, their behaviour gradually alters, with the underweight Sandra being afflicted by a case of body dysmorphia, while Tako becomes an increasingly controlling presence in their relationship. Burger's direction creates an intensity and tension early on with its tight focus on the two main characters and his handling of the film is extremely impressive, particularly when it moves into darker areas late on. At the centre of the picture, real-life couple Bakema and Kraakman are terrific, delivering a convincing portrayal of a couple content with life and each other, and then excelling as a couple slowly tearing themselves apart. Hunting & Sons has a number of shocking sequences that are all the more powerful for the restraint shown in Burger's direction and the utter conviction shown by his actors. It's a disturbing and very impressive piece of work. 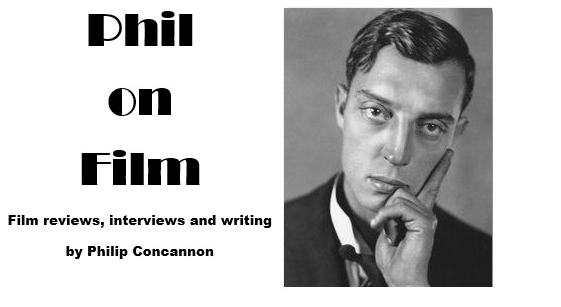 Why on earth has Conviction been scheduled as one of the London Film Festival's gala screenings? I'd expect to see a film like this appear on Channel 5 on a weekday afternoon, but the star power seems to be duping people into believing that this is something more than a TV movie – believe me, it isn't. It is an amazing true story, though, as Betty Anne Waters, a woman from a poor background with little education, spent almost twenty years studying to become a lawyer and then finding the evidence to overturn her brother's false murder conviction. For a while, I thought director Tony Goldwyn was going to do something interesting with this material, as he played around with the chronology early on, but I quickly realised that this was an aberration, and that his handling of the story would be utterly unimaginative for the majority of the film. 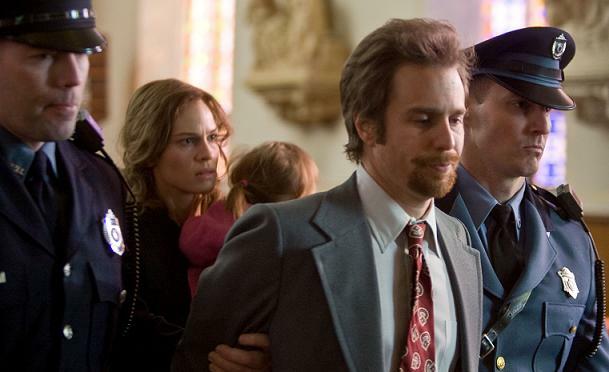 Hilary Swank's performance as Betty Anne is underwhelming too, and it's left to the supporting actors to rescue the film; Sam Rockwell as the volatile brother Kenny, an eccentric Juliette Lewis as a key witness and – the best of the bunch – Minnie Driver as Betty Anne's loyal, straight-talking pal. Beyond the acting, this is utterly generic stuff, with so many clichéd sequences that play out exactly as you'd expect them too. Conviction has no desire to surprise or shock its audience – it is safe, conventional and really rather dull. In fact, the most startling twist in the tale is omitted from this account, with no mention of the fact that the real-life Kenny died in a fall just a few months after finally being released from jail. Life can be very, very cruel. This is a strong debut feature from Juana Macías with a collection of fine female performances being particularly noteworthy, even if the storytelling gets a little soapy at times. Plans for Tomorrow tells three separate stories, which are subsequently intertwined. One narrative strand stars Goya Toledo stars as Inés, a 39 year-old businesswoman who discovers she is pregnant, much to the displeasure of both her husband and her boss. Another features Antonia (Carme Elias), who gets a second chance with an old flame, while the third revolves around mother and daughter Marian (Ana Labordeta) and Mónica (Aura Garrido), both of whom are being harassed by Marian's estranged husband. I wish Macías had avoided the contrived structure that has all of these events occurring at precisely the same time and uniting them, Amores perros-style, with a car crash, but I generally saw a lot to admire in her sensitive and subtle direction. The film's more emotional scenes are all carried off skilfully, and her handling of Antonia's story is particularly impressive. The ensemble cast is excellent, with Elias and Garrido standing out, and while Macías threatens to get a little too cute towards the end, I still found Plans for Tomorrow compelling and very touching. I wasn't sure if I really wanted to see Lemmy, particularly when the press screening was scheduled for 9:30 on a Sunday morning, but I'm glad I made the effort because this documentary is a lot of fun. Co-directors Greg Olliver and Wes Orshoski have attained great access to Motorhead frontman Lemmy Kilmister, following him as he goes on tour, hangs out in his favourite bar, shows off his extraordinary collection of war memorabilia and recounts anecdotes from his eventful career. 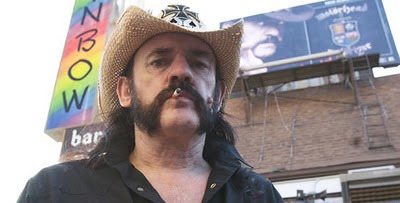 The image one gets of Lemmy is that he's a genuinely nice guy, one who's serious about his music and who is happy with life as long as he has access to his few passions; playing on trivia machines and one-armed bandits, watching Family Guy on the tour bus or driving the occasional tank. The filmmakers have also lined up a remarkable collection of interviewees, with seemingly everyone in the business ready and willing to offer their tributes to the man, and while Lemmy may be accused of being a hagiography, I sensed that this outpouring of love and respect was genuine, and that few people honestly have a bad word to say about the endearingly down-to-earth and self-deprecating rocker. The only misjudgement Olliver and Orshoski make is in the length of their film, with Lemmy feeling overlong and flabby at two hours, with too much footage in the final half-hour feeling repetitive and unnecessary. Aside from that quibble, this is a hugely entertaining and lovingly made portrait of a legendary figure.